The opening match of the 2014 World Cup began with a fantastic spectacle, which saw a paraplegic kick the opening match ball with the help of a mind controlled robotic exoskeleton. This melding of mind and machine then gave way to three doves that were released in the name of peace. This came just hours after police clashed with protesters only miles from the Arena Corninthians, firing tear gas canisters and mace into the crowd. Two of those symbolic doves died minutes later, while the third made its way into the press box where it was photographed and Tweeted around the world. Brazil then belted out their national anthem, in a beautiful moment of unity. Almost the entire squad sang with their eyes clenched shut. The crowd responded with an almost deafening roar for the second verse, something that brought chills down the spine of any human present or watching from around the world. Croatia followed the anthems by coming out on the attack. The match went back and forth, but Croatia enjoyed their chances in the early stages. Ivica Olic was everywhere running up and down the flanks, and his results were rewarded in the the 11th minute when he sent in the cross that opened scoring. Brazil did score the opening match of the tournament, unfortunately for them it was an own goal from Marcelo. Ivica Olic broke down the left side and sent in a cross that was deflected, but found the foot of Marcelo whose name will go down in infamy as this tournament’s opening scorer. with a forearm smash that John Cena would have been proud of. Following that, Brazil began pressing Croatia and started enjoying more attacking chances. Two minutes later they finally broke through when Oscar forced a turnover in the midfield leading to a counter attack. He passed to Neymar who found himself a bit of space and hit a slow, but deadly accurate shot that went under Stipe Pletikosa’s hand, hit the right post, and nestled in the net. Croatia wilted a bit going into halftime, Ivica Olic particularly looked tired. Following halftime the game featured a lengthy run of disjointed play, where Croatia could not find any possession they dropped to only 8% of possession. The game was then turned on it's head when Fred received the ball in the box and was backing down defender Dejan Lovren. There was a bit of lower body contact, a bit of upper body contact, a jersey tug, and a flop from Fred. All of that added up to Yuichi Nishimura giving a tremendously controversial penalty that was not received well by fans around the Twittersphere. I understand why Nishimura gave the penalty, but don’t that was never the correct decision to make given the circumstances. Moments later Neymar converted from the penalty spot, despite Pletikosa getting two hands to the shot. Pletikosa really could have done better in the moments that saw Croatia concede. Croatia did not back down after having the result snatched from them. They mounted several attacks and Ivan Perisic forced a crucial save from Julio Cesar. A whistle for Olic making contact with Julio Cesar negated a goal they scored in the 85th minute. Croatia continued to surge forward, seeking the point that would spoil the day for Brazil, but it was not meant to be. 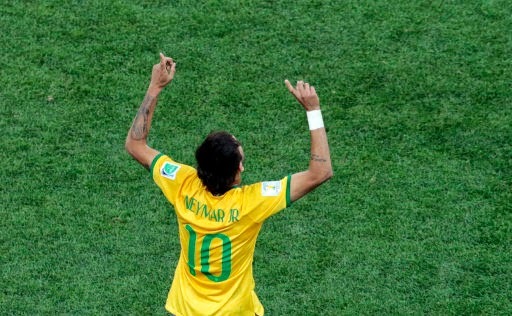 In the 91st minute, almost completely against the run of play, Brazil struck again. David Luiz’ goal line clearance led to a break. Ramires delivered a devastating challenge on Ivan Rakitic that caused a change in possession. Oscar capped off his fantastic display by scooping up the ball and bounding towards the goal. He finished with a cheeky toe poke that bounced tantalizingly close to the outstretched Pletikosa for Brazil’s third goal. Once again Pletikosa was found wanting in a match that could have been different if he had been quicker with his reaction. The victory for Brazil was fortunate because the referee certainly was a major factor. Croatia feel like they were cheated out of a result, and frankly there is little I can say to disagree. They faded in the middle stages of the second half, but circumstances and the match official conspired against them on the day. Human error on these controversial decisions are one of the features of the beautiful game. Fred's flop will be remembered for years to come, but so will Neymar's World Cup debut, where he was the man who could not be stopped.